This 2005 commercial was the first to introduce the M&M's dark colors and it was called the Chocolate Mpire. It also introduces the M&M's Star Wars characters that would be launched in their own toy line. This commercial helped promote Star Wars Episode III: Revenge of the Sith. 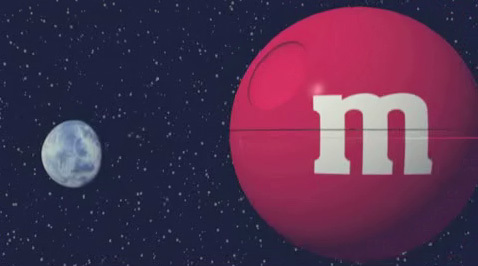 M&M's put out a couple of commercials in 2005 for the release of Episode III that featured their Dark Side candy colors. In this commercial, Darth Vader makes an offer no candy-coated henchman could refuse.